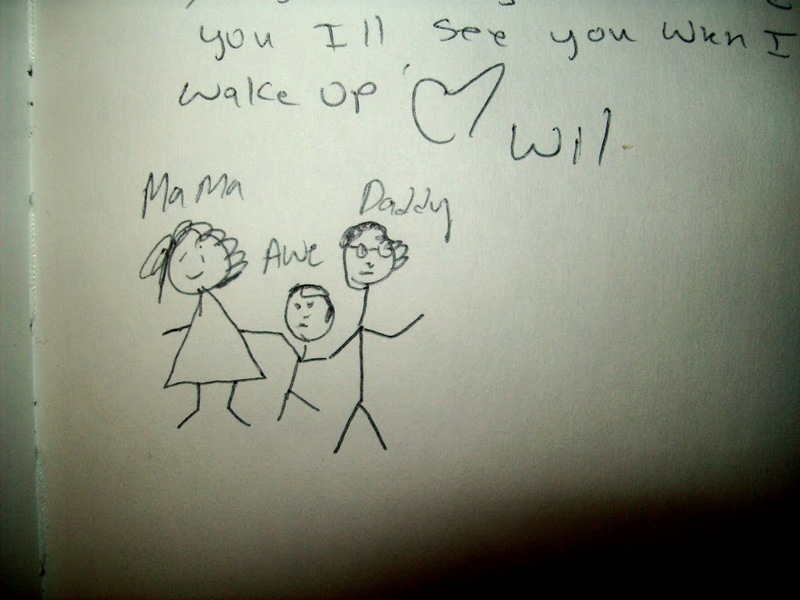 This morning, I feel okay about Wil’s night shift. The reason I feel alright about it is because of something called “The Couple’s Journal.” I recently wrote a post complaining about my boyfriend (Wilhem’s) night shift. Click here to read it. YES! The first year of our marriage Yasir worked from midnight-8am, slept for 3 hours, worked his second job from noon to 8pm, slept for 3 hours, and started all over again. We’d keep a “couple’s journal” that we wrote in since we’d often go a week or more without seeing each other’s faces (I worked and took night classes 5 days a week) so it was hard!!! I know I’ll write in it. But Wil probably won’t. So I took a shot at it. Last night I wrote Wil a note in the journal about how difficult Ari was being, and how he kicked me in the face and all he wanted to do was watch TV. I wrote about how tired I was and how I missed him. 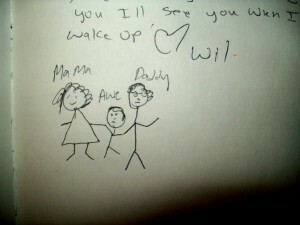 The next morning (today) I awoke and asked sleepy Wil if he wrote in the journal. He mumbled “Yes.” So I went into the bathroom to check it out. 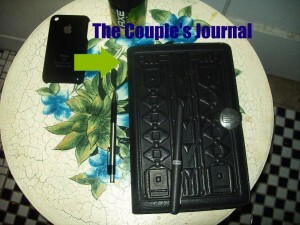 So far I like the Couple’s Journal. Thanks Amanda!